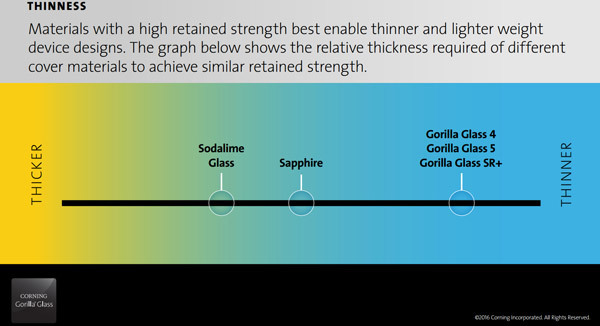 Corning on Wednesday announced a new protective glass Gorilla glass SR+. If the usual Gorilla glass used to protect the screens of smartphones and tablets, the SR+ is designed for wearable devices. 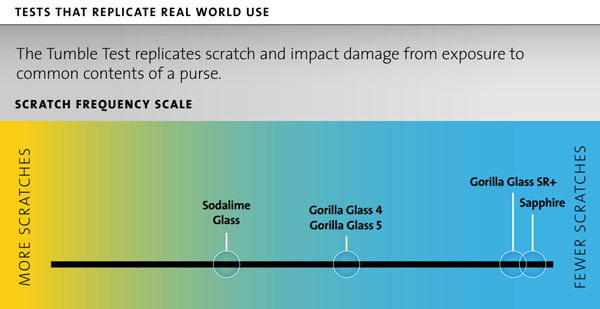 According to the manufacturer, the Gorilla Glass SR+ provides excellent scratch resistance, comparable alternative to expensive protective materials.” It is noted that the glass is 70% greater than their resistance to impact damage and 25% better in terms of their reflective capabilities. The company suggests that the improvement of the optical characteristics of the protective surface will reduce the power consumption of wearable electronics and to improve the readability in bright sunlight. 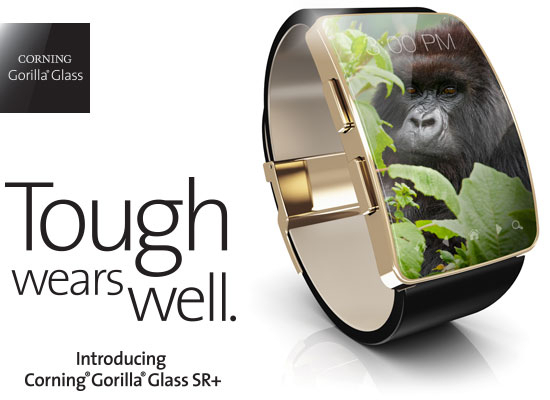 The first wearable electronics with glass Gorilla Glass SR+ should be on the market before the end of the year. And, considering the fact that the Samsung Galaxy Note 7 was the first smartphone with a protective glass Gorilla glass 5, one of the first decisions with Gorilla Glass SR+ can be a smart watch Samsung Gear S3, the presentation of which will take place on August 31. To perceive Corning Gorilla Glass SR+ alternatively, sapphire glass and emphasize the superiority of their product on several parameters like the thickness and optical properties. Note that Apple Watch comes in three varieties, two of which are in the protection of the screen rely on sapphire glass, and the third is the Apple Watch Sport is protected by a reinforced glass Ion-X. In the Apple claim that the coating of the display is Ion-X is almost impossible to damage. This material is used in the production of the portholes of spaceships and Windows high-speed trains, is five times stronger than normal, but it is very thin and lightweight.